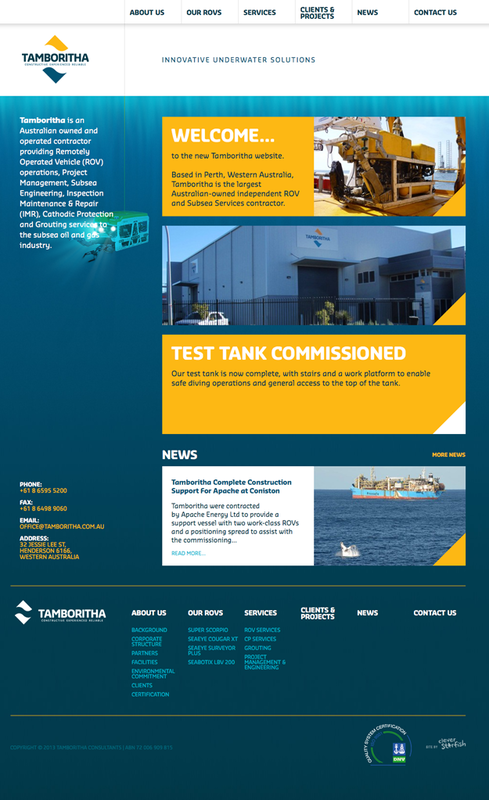 Tamboritha is a subsea contractor based in Henderson, Western Australia providing Remotely Operated Vehicles and personnel to the offshore oil and gas industry. In the last 25 years, they have grown from a small outfit to an experienced group with a purpose-built operations facility in the Australian Marine Complex in Henderson, Western Australia. 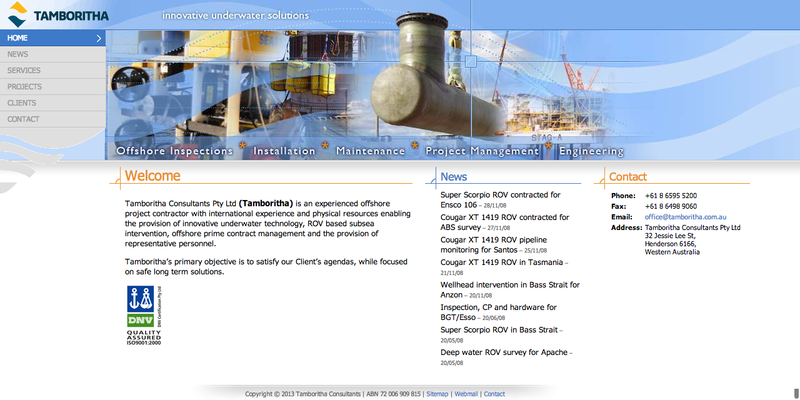 The existing website (below) was over 6 years old and no longer reflected the company they have become. To reflect the change in their business, we created a new website to showcase their capabilities and project experience. Building on their recently updated brand identity, we designed a site that is bold and colourful while maintaining a clean and professional look. Service overview pages pull in content from child pages to reduce the amount of content entry required. Each ROV has a dedicated page with full specifications (entered in WordPress) and a link to view all the projects that the ROV is related to.